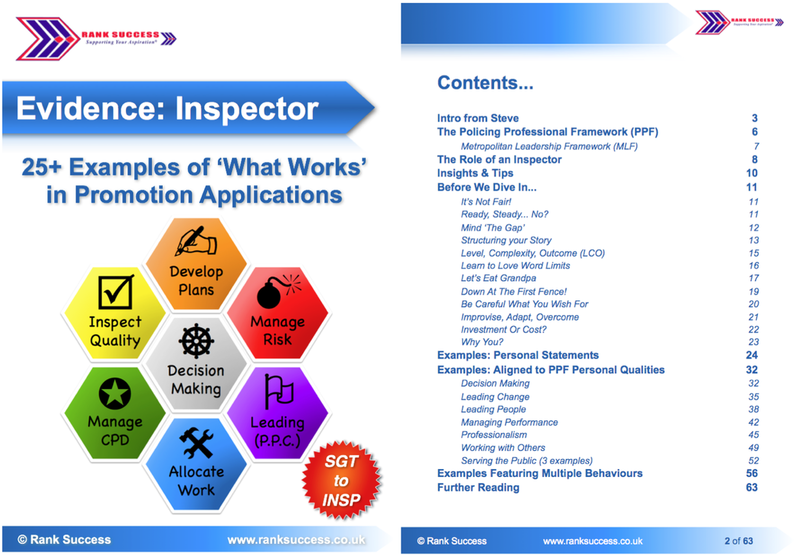 Promotion processes for Sergeant, Inspector or lateral vacancies often start with a 'paper sift' - submitting a written application booklet or expression of interest. This is your opportunity to convey relevant skills and experience on paper. Many officers struggle at this first hurdle, not for any lack of ability or potential to do the job but because aligning their skills and experience against the relevant leadership competencies - as written examples of evidence - can sometimes take time to develop. 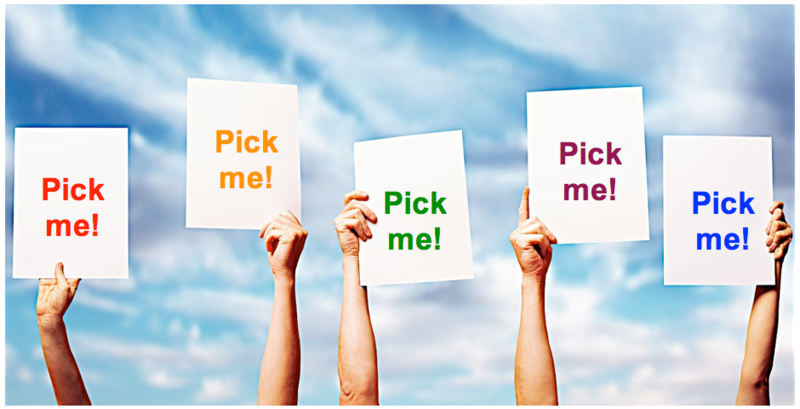 With (typically) tight deadlines and a limited word allowance adding extra pressures - getting it right is important, especially if this is your 'breakthrough' to interview as part of a competitive selection process. For support, please first check my digital guides to make a start. 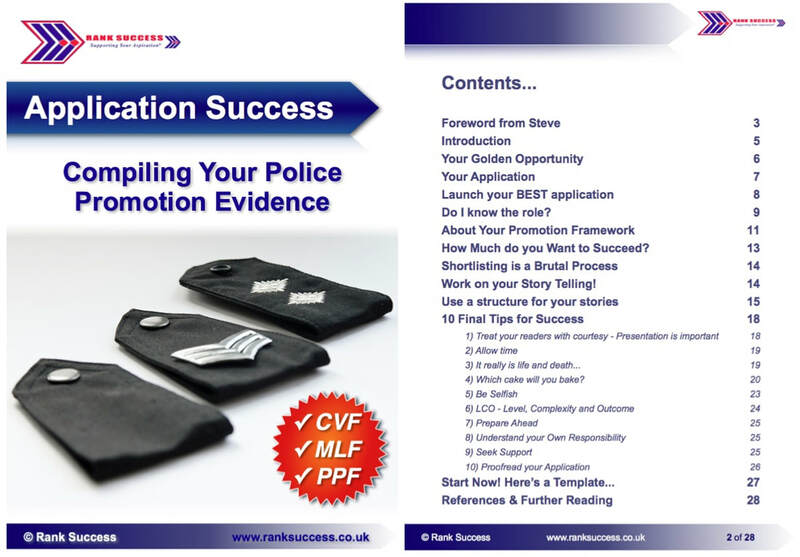 They provide good value for money and are sufficient for most cops to get ahead of the curve, understand structure and presentation of their evidence. If you still prefer a bespoke booklet review, whether you have a looming deadline or other uncertainties/concerns, please get in touch. I provide a personal, confidential service involving phone support, proof-reading, practical feedback and coaching along the way. Draft your best evidence & examples as normal, then get in touch to discuss your needs & my availability to make sure I can help. I will work on and return your drafts, normally within 2 weeks. This will include suggested improvements and feedback you may wish to consider making before submission, including a discussion and coaching over the phone. To avoid disappointment, please FIRST call or email me to discuss your needs and check my availability.
" I took the time the other day to read through my first drafts and the comparison is astonishing! To see the difference it has made is colossal! I have your guidance to thank for that "